A new report by the Economic Policy Institute (EPI) looks at who would benefit from raising the federal minimum wage to $15 an hour by 2024. According to EPI, if the federal minimum wage ($7.25/hour) was raised by about $1.30/hour/year over the next six years – reaching $15 in 2024 – it would benefit approximately 255,000 West Virginia workers, or a raise for 35.5 percent of the West Virginia workforce. For an affected worker who works year-around that would mean an extra $3,630, a raise of 14.9 percent. Overall, wages in West Virginia would grow by over $800 million. Spoiler alert: 93 percent of those benefiting from the wage increase would be age 30 or older – not teens! 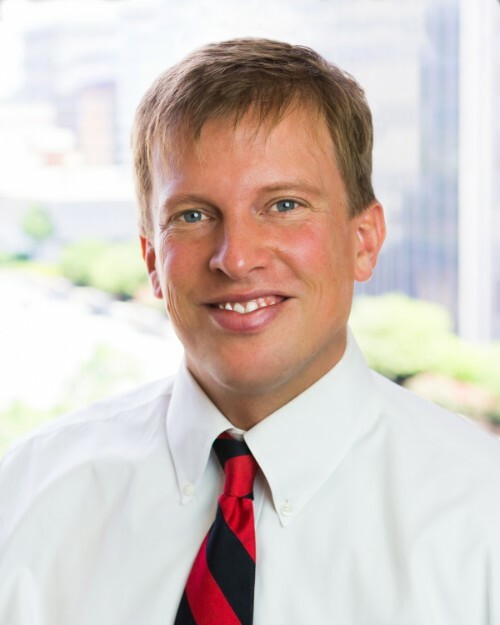 According to EPI, there would be an estimated 195,000 West Virginia workers directly impacted by raising the minimum wage to $15 by 2024 and another 59,000 would be indirectly affected from the “spillover effect as employers raise wages of workers making more than $15 in order to attract and retain employees.” More than one in three workers (35.5%) of workers in West Virginia would be impacted, while one in four workers (27.2%) would be directly impacted. Of the 255,000 workers impacted by raising the minimum wage, 60.3 percent would be women and 39.7 percent would be men – although women make up 47.6 percent of the state’s workforce. As we noted in this recent report on West Virginia’s gender pay gap, women are disproportionately in low-paid jobs compared to men, one of the reasons women only make 74 cents on the dollar compared to men in West Virginia. Despite the stereotype, teens are not the ones working for the minimum wage. The average age of those who would benefit from raising West Virginia’s minimum wage is 37 years old, compared to 35 nationally. 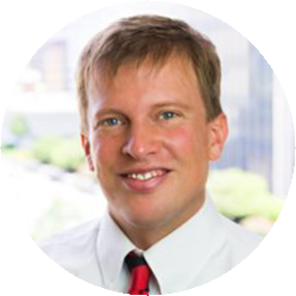 93 percent would be above age 20, while 40 percent would be 40 or older. 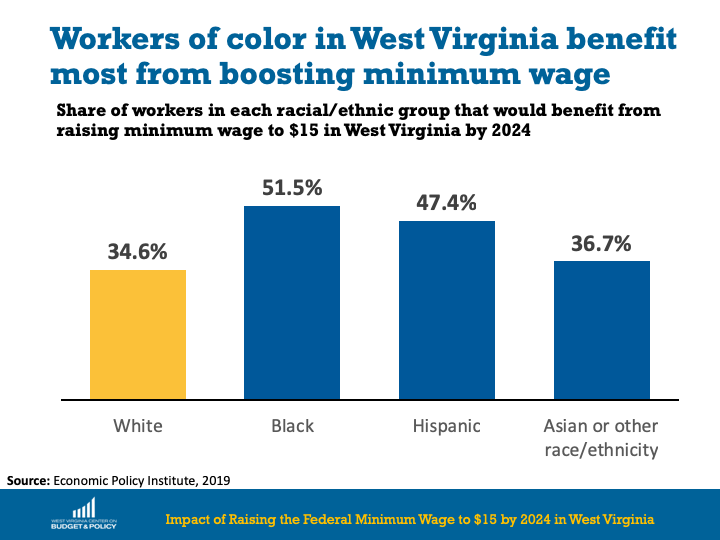 Although workers of color in West Virginia are a minority of those who would benefit, they do benefit at significantly higher rates. For example, black workers make up just four percent of the state’s workforce but more than half would receive a raise if the federal minimum wage were increased to $15 by 2024. As the chart below highlights, 52 percent of all West Virginia black workers would receive higher pay, as would nearly half (47%) of Hispanic workers. The benefits of raising the minimum wage also disproportionately boost incomes for single parents, those with a high school degree or less, families below the federal poverty line, and those who work in the retail and food service industries. For more details on who would benefit from raising the federal minimum wage to $15 by 2024 in West Virginia, see this spreadsheet from EPI. 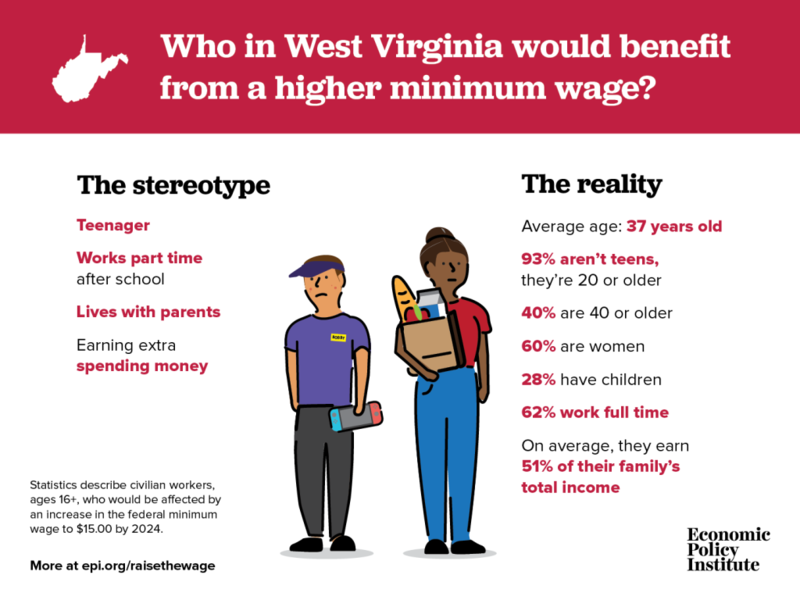 While West Virginia’s current minimum wage of $8.75/hour is higher than the federal minimum wage of $7.25/hour, it is not enough for families to meet their basic needs. As we noted in a recent report, raising the minimum wage is one of the several policies to help strengthen families. It would not only allow more working people to better support their families but it would also stimulate local economies while improving long-term outcomes.